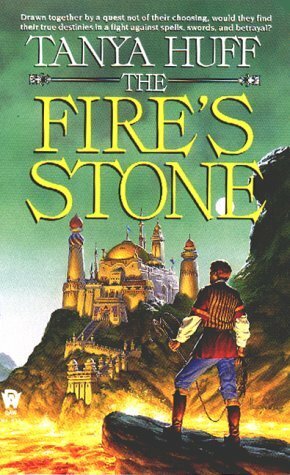 The final book in the Broken Earth fantasy (sf) series. Page count: 398 + two appendixes and an excerpt from Ann Leckie’s Providence. The Broken Earth series is very, very good. It’s also very grim and has a cruel world, not just to the adult characters but, and especially, to the children. At times it has been hard for me to read it. 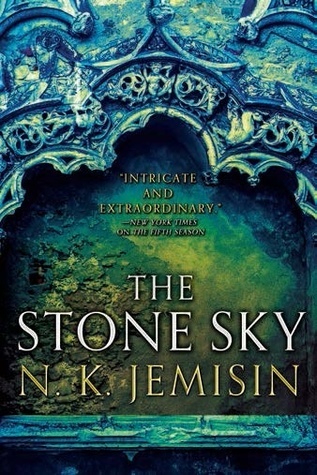 The Stone Sky is a very good ending to the series. Parts of it were as I expected (which is good) but it had some surprises as well (equally good). Like the other books in the series, it has three POV’s. One of them continues with Essun, another continues with her ten-year-old daughter Nassun, but the third one is new. They’re all in present tense. Essun in second person, Nassun in third, and the third POV in first. We finally get to know the answer to many of the questions the series has raised. Essun has been in a coma for a while and when she wakes up, she finds that her comm is moving. Meanwhile, Nassun and her Guardian father-figure also need to leave from their comm and head to a place call Corepoint. The third POV is in a different timeframe. The series deals with very weighty issues. Bigotry and racism are the most obvious ones. The “stills” (the normal people) hate and fear the rogga/orogenes who can use magic. The stills do awful things to the orogenes, even to children. Much of the grimness of the book stems from that. Yet, at the same time they need the orogenes to protected them from volcanos and earthquakes. Motherhood and found families are another significant theme. I think that the series would benefit from reading the books back-to-back. I probably should have read this one quicker but… it’s just so damn repressing and grim that I just couldn’t. Of course, there’s a very good reason for the bleakness and this would a very different series without it. If you can stomach that (and a blend of magic with science fiction), I highly recommend this whole series. 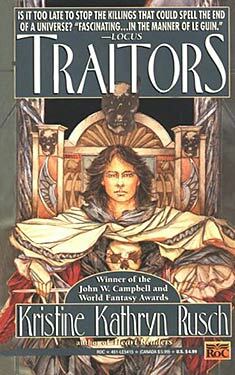 This is a fast-paced and fun fantasy adventure with lots of political and court intrigue. Darvish is the third prince. He doesn’t have much power and spends his days drinking and carousing with both men and women. This makes him unhappy and he drinks even more to forget it. Also, he’s now ordered into a political marriage to girl he doesn’t know. Aaron is a thief. He had the misfortune to stumble into Darvish’s bedchamber and get caught. Luckily, Darvish was attracted to him and saved Aaron from tortured to death. However, Aaron grew up in a strict home and he has learned to deny his sexual leanings. He has two ghosts in his mind, talking to him and berating him. The king suspects that Darvish is plotting to get the throne and therefore sends him out to retrieve the stone. Luckily for the duo, they stumble upon princess Chandra who is a trained wizard. She’s also Darvish’s unwilling fiancée and has no desire to a romantic relationship at all because it will stifle her wizardry. After the death of her mother, she has also become estranged from his father the king. The trio will have to learn to work together to get the precious stone back. I really liked the three main characters: each have circumstances and their own inner demons to conquer while on the quest. Aaron is the only one who actually knows a bit about the world: both Darvish and Chandra have led very safe lives and Aaron is their (unwilling) guide to the larger world. The world isn’t too complex but not too simple, either. A nice, fun story which teases at a male/male romance but the ending might be disappointing for anyone expecting that. The third and final book in the Eternal Sky epic fantasy series. Steles of the Sky continues right where Shattered Pillars ended. Al-Sepehr and his assassins seem to be even greater threat than before and our intrepid heroes are really struggling to face him and his allies. Also, when the story starts, the characters have all over the map doing their own things. Overall, was a good ending to the epic fantasy trilogy with some surprises, too. However, there’s definitely room for more adventures to some of the characters, and the setting is also in an intriguing place. One of the lesser seen secondary characters starts to call themselves Iskandar which greatly amused me, because that’s one of Alexander the Great’s Eastern names. The second book in the Eternal Sky epic fantasy series. 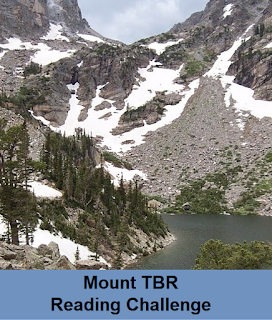 Bear plays with lots of epic fantasy troupes here. It’s not my favorite Bear book but it could be because I’m not really that interested in epic fantasy anymore. 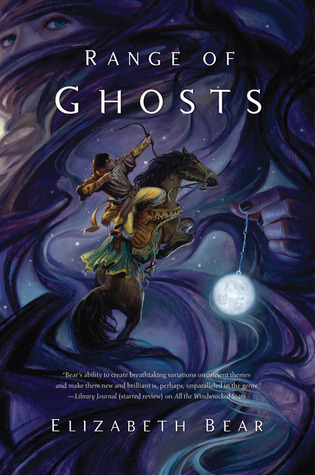 Please read the first book “Range of Ghosts” first because she doesn’t waste pages recapping what came before (which is good IMHO). Re Temur who is the grandson of the great but dead Khagan is still in exile, looking for his lover Edene who was kidnapped by ghosts. However, his quest has changed. Now he, and his companions, are also looking for a way to wrest power from Temur’s usurper uncle and to unite the steppe tribes once again. To do that, Temur has to find a band of loyal steppe soldiers. But first, he needs to rescue Edene from Ala-Din, the headquarters of the followers of the Nameless, the Scholar-God. They’re also assassins who are hunting the small group. Samarkar-la is a wizard and a former princess. She’s only recently come to her power but has studied magic for years. She’s also in love with Temur and follows him loyally. She’s also looking for a way to stop the leader of the assassins. Hsiung is a mute warrior-monk and Hrahima is a warrior from a tiger-like species. They’ve become a tightly knit band of friends who are very capable of facing the challenges of the road and the assassins. Meanwhile, a terrible plague is sweeping across the lands. The wizards in Tsarepheth are trying to fight it, while struggling with intrigue. Also, the leader of the Assassins, al-Sepehr, has sent one of his people to cement Temur’s uncle’s claim to become the Khagan, the king of all steppe tribes. Much like in the first book, in “Shattered Pillars” the main group is moving from place to place with disaster and assassins on their heels. The people around them plot and plan and we see glimpses of them. 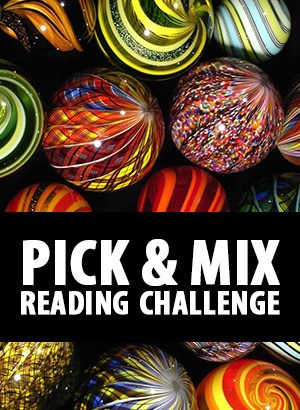 This book has many POV characters, some of them new. I like particularly two characters: Edene, who was a secondary character at best in the first book, rose to an unexpected prominence in this one. I loved her development. She was a spirited steppe woman in the first book and now she’s heavily pregnant with a magic ring which gives her extraordinary powers. She managed to escape her captors and encounters dog-faced ghulim who seem to worship her as a queen. She’s determined to keep her unborn child safe and also rescue Temur from whatever dangers he’s facing. And the best way to do that is to become the queen of an evil, mythical place! Loved that even though I don’t really see how she can have a happy ending. I also really grew to like Saadet who is the twin of one of the lead assassins. Her situation is very complicated and interesting. The series has a lot of women with agency which was great. Bear also plays with the roles that men and women usually play in epic fantasy books. The first book in an epic fantasy series. 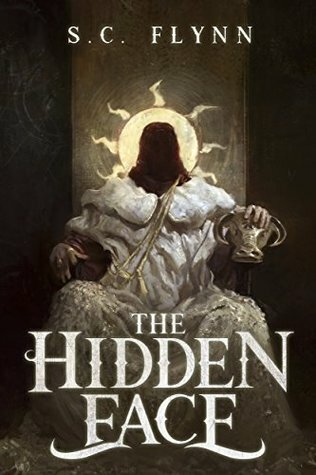 I received an ARC copy of The Hidden Face to review. Dayraven is the son of Faustia’s hero Urland who has killed when Dayraven was only six years old. Because his mother was also dead, he was a ward of the emperor. In order to ensure peace, he’s given as a hostage to a potential enemy state. Despites promises of quick return, it’s 15 years later when Dayraven is finally summoned back home. He’s now 30 and lived half his life in an enemy nation. His teacher, a Jaelite scholar Halakh, sent him an urgent message to meet at an abandoned temple. After a meeting with the scatterbrained old emperor in the baths, Dayraven hurries to the temple but too late: someone has murdered Halakh. However, Dayraven meets a possible ally: the young woman Sunniva who has disguised herself as a soldier in order to find her missing father. Together, they have to puzzle out the clues that Halakh and Sunniva’s father have left behind. Dayraven also meets a couple of enemies: a mysterious hunchback and his old childhood tormentor who is now the emperor’s trusted high priest. He and Sunniva have other enemies as well, who want to get the information that the pair knows. I liked most of the characters and many of the enemies were great. Unfortunately, I rather disliked the femme fatale, who was a cliché character using her looks to manipulate males, and the story has only two named female characters. I also rather enjoyed the clues and puzzles in the book. The book has several POV characters, most of them bad guys. Dayraven seems quite a thoughtful fellow. He doesn’t rush into anything, but rather ponders things. This is a rather nice change for all the hot-headed heroes in many books. However, he’s still a great swordsman. Sunniva is a warrior and an archeologist and something of an architect as well, because her father taught her those things. However, her father has disappeared, and she disguises herself as a soldier to look for him. Unfortunately, men have to rescue her several times in the book. One of the most unique characters in the book is the Twister who is a hunchback and quite possibly a madman. He’s a character who can change sides depending on his whims and his unpredictably was great. Another character, a mercenary, was also interesting. There’s also an obligatory romance and that’s how it felt to me rather than an actual attraction between characters. The world-building was very interesting. The Faustian Empire feels to me like a Roman Empire -type setting because of the baths and the wax tablets that people use. The Jaelites are apparently modeled after Jewish people, especially considering that they use mystical numbers and writing reminiscent of Kabbalah. There are other cultures as well, but we aren’t shown much of them. The Hidden Face is a sun god type of deity who is hidden most of the time. But when he (or she) shows his face, or manifests among people, one culture will rise to prominence. This happens every 500 years or so. Not surprisingly, people want to know where the Hidden Face will next manifest and know or even manipulate the events that will follow. The finding of the Hidden Face is the central mystery of the book. Personally, I would have wanted more details. Now, the cultures feel like sketches which we don’t really know much about. Apparently, women can’t be soldiers because Sunniva has to disguise herself. Yet, she has enough fighting skills that she doesn’t stand out and nobody seem outraged about her disguise, so it doesn’t feel like an enormous taboo. This is clearly a first book in a series. It doesn’t end in a cliffhanger but the main story is left open at the end. 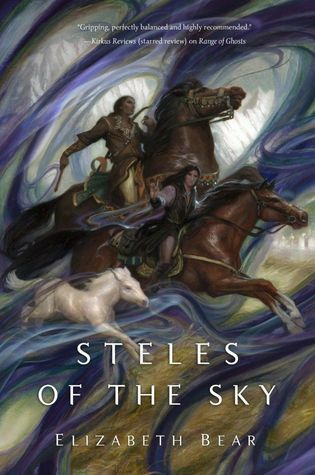 The first book in the Eternal sky fantasy trilogy. This series is set in a Mongol-type culture. However, the book has a lot of traveling and introduces us to other cultures as well, Middle Eastern and a couple of others. Temur is the grandson of the Great Khagan who conquered large parts of the world around the steppe. However, the Khagan has died and his sons and nephews are now fighting over who will rule. They’ve also brought each their own tribes to war. Temur followed her brother to war and at the start of the book, he is all that’s left of the mighty armies. Alone and severely wounded, he still manages to live and even find a loyal horse, the magnificent mare whom he names Bansh (dumpling). He finds groups of fleeing civilians, mostly women and children, and managed to tangentially attach himself to one such group because he can guard and hunt a little. One of the young women, Edene, develops an interest to him and they become lovers. However, because Temur’s family is dead, she can’t marry him. After a few weeks, a group of ghosts attacks. They kill some before Edene realizes that they are vulnerable to salt. However, the ghosts capture Edene and carry her off. Temur vows to return her and heads to a city where he thinks he can get help, Qeshqer, which is beyond the Range of Ghosts mountain range. In far Tsarepheth Samarkar, who was once a princess, makes ready to become a wizard. Because wizards aren’t allowed to procreate, she has been neutered but survived the process. She doesn’t know if she has magical talent and if not, she can become a scholar or something else. But when her magical talent comes to her, she has a lot to learn and she must investigate what is happening in Qeshqer. She and her teacher, who not a lot of about magic but doesn’t have magical talent herself, are sent through the mountain range to the city. Meanwhile, the head of the cult of the Nameless is planning to further his plans and begin a war. He will use his own assassins, his giant rokh birds, and of course the ghosts to shape the world into what he wants it to be. The world-building here is just wonderful. People are from somewhat different cultures, with different languages, and different values. The sky is different depending on the dominant culture of the land. Great! The book has two kinds of magic. Samarkar uses one kind. Apparently she herself powers it. The main villain uses other people’s death and blood to use magic. Temur is actually something of a cliché but a well-used one: young, an orphan, related to kings, a warrior with a quest. He’s a very capable man, loves horses and tends them before himself. The horses are also a big part of this book which was great. Samarkar is somewhat different. She’s been trained in court, in the middle of intrigue and was sent as a bride when she was 15 (I think). Her marriage was not horrible but it wasn’t wonderful either, and ended when she asks her brother to kill her husband. She wants to be free of court and not anyone’s pawn. The only way to do that is to become a wizard. However, she still has to do as her masters bid her so she’s not free. She can change substances, conjure things (like make water from the moisture in the air), and she knows healing plant. They are joined by other people later in the book. I found the tiger-like magical person to be the most interesting one of the lot. They are all very capable and work well together even after just a short time. The book doesn’t have a conclusion. It just ends and with a twist that will no doubt influence the rest of the series. Traitors has an sf premise: the book is set is another planet which humans colonized centuries ago and the people know it. However, mostly it reads like fantasy. The countries in this setting are islands so you need to have either a ship or an air-born shuttle to go from one country to the next. All high tech is controlled by one nation, Vorgel, and while other nations can use them, the Vorgellians keep tight reins on the tech so nobody else can build anything high tech, anything from laser pistols to shuttles. The Kingdom is a place where, at the surface anyway, art and artists are regarded highly. However, the Kingdom has a very cruel and rigid caste system. In it, young children are tested for their level of Talent (in any form of art, such as dance, poetry, or music and also in Magic). Those with A-level Talent are then expected to perform so that their performances bring money to the government. Those without A-level Talent are essentially used for scouting rich targets (in foreign countries) and robbing them. Also, a person can have only one Talent and only one A-level Talent in one family. Of course, the Kingdom don’t admit that they steal to anyone outside. Golga is a neighboring country where all frivolous thing, such as fiction and other arts, are forbidden. Supposedly, the Golgans kill all Kingdom members they get their hands on. Emilio Diante is an A-level Dance Talent. One day, he comes home and finds his family brutally murdered. He knows that the Queen has done it. So, he stows away on a ship, heading for somewhere else, anywhere else. He’s rather become a slave than stay in the Kingdom. However, a mage aboard notices him and the only place where he can stay is Golga. Diante is sure that he will be killed but instead the ruler of Golga, the Golgoth, gives Diante one chance to prove himself and stay. Diante takes that chance. 15 years later, he’s the head of detectives in the Golga capital and one of the ruler’s most trusted advisors. Then, he finds a badly beaten and burned Kingdom woman near the port. He and his closest friend, a wine merchant, take the woman to heal in a resort where they can hopefully rebuild her broken body. On the island resort Diante meets and falls quickly in love with a stunningly beautiful woman. He suspects that she’s from Kingdom but waves away his concerns. That turns out to be a mistake. As usual with Rusch, I loved the setting. However, this is one of her earlier books and it shows a little. The various nations we’re given a glimpse of are fascinating. Apparently, the people who founded them, made them opposites of each other. For example, Golga was once part of the Kingdom but the future Golgans rebelled and when they founded their own country, they forbade anything resembling the Kingdom, namely the arts. Diante is the only POV character so his opinions color everything. He’s a very serious and duty-focused man. He’s only loyal to the Golgoth who trusts Diante. But few others trust Diante. The wine merchant is his only friend and he’s closed himself off from other people so much that he hasn’t had a romantic relationship until he meets the woman at the resort. Also, when he gives someone his loyalty, he has very hard time letting go. Sheba, the woman Diante falls for, remains a mystery. We don’t see her reasons for her choices. The other major characters change through the story. The Golgoth is another very duty-bound man who will do anything for betterment of his country. He’s also quite different from his reputation in the Kingdom. The wine merchant starts out like a plot device (urging Diante to do something he normally wouldn’t do: take a vacation) but gets deeper during the story. The same thing happens to the wounded woman. 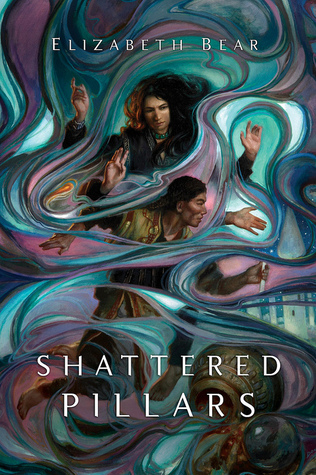 I rather enjoyed this book but it’s not one of Rusch’s best, even though it has some quite unusual twists which I quite enjoyed and the ending was also somewhat unusual (for fantasy).